Nadežda SILAŠKI is Professor of English for Economists at the Faculty of Economics, University of Belgrade. She has an MA degree from the Faculty of Philology, University of Belgrade, and she received her PhD degree in linguistics from the Faculty of Philosophy, University of Novi Sad, with a thesis titled Discourse of advertisements in women’s magazines in Serbian and English – a genre analysis. 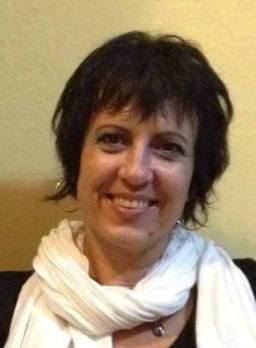 She is the Coordinator of the English for Economists courses at the Faculty of Economics, University of Belgrade. Her research interests include English for specific purposes, genre analysis, (critical) discourse analysis, and (applied) cognitive linguistics. She is the author of a monograph on anglicisms in Serbian economic discourse (2012), co-author of a monograph on Serbian public discourse (2009) as well as author or co-author of several ESP economics textbooks and practice books. 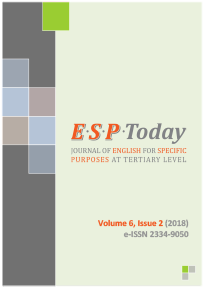 In 2013 she co-edited a volume on English for specific purposes at tertiary level in Serbia. She has contributed a chapter to an edited book with Bloomsbury Publishing in 2014 and has published internationally in peer-reviewed journals: Journal of Language and Politics, Ibérica, British and American Studies, Romanian Journal of English Studies, Gender Studies, etc. She has served as an external reviewer for a variety of journals and conference proceedings (Applied Linguistics, Zbornik Matice srpske za filologiju i lingvistiku, Facta Universitatis – Series: Linguistics and Literature, etc.). She is a member of the board of directors of the Serbian Association for the Study of English (SASE). She is currently taking part in the national project Languages and cultures across time and space funded by the Serbian Ministry of Education, Science and Technological Development. Silaški, N. (2012). Srpski jezik u tranziciji: o anglicizmima u ekonomskom registru [Serbian in transition: On anglicisms in economic register]. Beograd: CID Ekonomskog fakulteta. Silaški, N., Đurović, T., & Radić-Bojanić, B. (2009). Javni diskurs Srbije: kognitivističko-kritička studija [Serbian public discourse: A cognitive critical study]. Beograd: CID Ekonomskog fakulteta. Silaški, N., & Đurović, T. (Eds.) (2013). Aktuelne teme engleskog jezika nauke i struke u Srbiji [Current topics in English for specific purposes at tertiary level in Serbia]. Beograd: CID Ekonomskog fakulteta. Kilyeni, A., & Silaški, N. (2014). The MONEY IS SOLID metaphor in economic and business terminology in English. Professional Communication and Translation Studies, 7(1-2), 73-80. Silaški, N., & Đurović, T. (2013). Of “siliconaires” and “millionerds” – How ESP learners understand novel blends in English. Ibérica, 25, 85-106. Silaški, N., & Kilyeni, A. (2012). The global financial crisis and metaphors – a contrastive analysis of English, Serbian and Romanian. Nasleđe, 21, 7-37. Silaški, N., & Kilyeni, A. (2011). The MONEY IS A LIQUID metaphor in economic terminology – a contrastive analysis of English, Serbian and Romanian. Professional Communication and Translation Studies, 4(1-2), 63-72. Silaški, N., & Đurović, T. (2011). The NATURAL FORCE metaphor in the conceptualisation of the global financial crisis in English and Serbian. Zbornik Matice srpske za filologiju i lingvistiku, 54(1), 227–245. Silaški, N. (2011). Animal metaphors in some business-related terms in English. Radovi Filozofskog fakulteta u Istočnom Sarajevu, 13(1), 565-576. Silaški, N. (2011). Adding colour to the teaching of English – Figurative uses of colours in business-related vocabulary. Primenjena lingvistika, 12, 186-197. Silaški, N., & Đurović, T. (2010). ‘Catching inflation by the tail’ – Animal metaphoric imagery in the conceptualisation of inflation in English. Ibérica, 20, 57-80. Silaški, N., & Đurović, T. (2010). The conceptualisation of the global financial crisis via the ECONOMY IS A PERSON metaphor – a contrastive study of English and Serbian. Facta Universitatis –Series: Linguistics and Literature, 8(2), 129-139. Silaški, N. (2014). Softening the blow – euphemisms and the language of dismissal in today’s English. In T. Prćić et al. (Eds. ), Engleski jezik i anglofone književnosti u teoriji i praksi. Zbornik u čast Draginji Pervaz [English language and anglophone literatures in theory and practice.] (pp. 471-482) Novi Sad: Filozofski fakultet. Đurović, T., & Silaški, N. (2013). Uloga slikovnih shema u metaforičkom strukturisanju svetske ekonomske krize u engleskom i srpskom jeziku [The role of image schemas in the metaphorical structuring of the global financial crisis in English and Serbian]. In N. Silaški, & T. Đurović (Eds. ), Aktuelne teme engleskog jezika nauke i struke u Srbiji [Current topics in English for specific purposes at tertiary level in Serbia] (pp. 133-146). Beograd: CID Ekonomskog fakulteta. Silaški, N.& Đurović, T. (2013). The FOOD metaphor in structuring the global financial crisis in Serbian – magazine covers as multimodal discourse. In A. S. da Silva et al. (Eds. ), Comunicação Política e Económica. Dimensões Cognitivas e Discursivas (pp. 507-519). Braga: Catholic University of Portugal, Braga, Portugal. Silaški, N. (2012). X-collar workers in the new economy – the role of metonymy in coining new terms in English. In S. Gudurić (Ed. ), Jezici i kulture u vremenu i prostoru [Languages and cultures across time and space] (pp. 399-406). Novi Sad: Filozofski fakultet.